Just a note: I’m taking the weekend off; will return to the usual business on Monday. In the meantime, here are some hairy dudes. 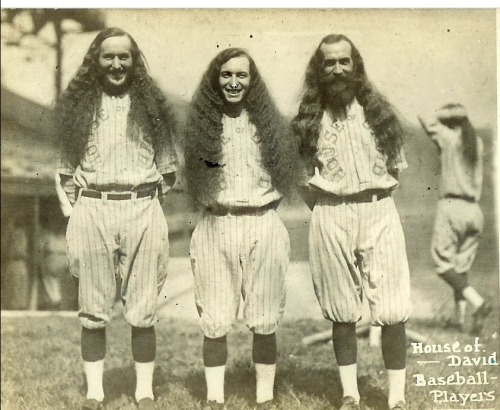 >I never even knew ZZ Top played baseball. >ZZ Top had two members with goat's nest beards. And the classic "Legs" song with the cool video. >All that raw hair is making me horny. >It would be nice for you feminutters to get some rest.You all seem to spend far too much time here making post about "Oh my god men are evil" and "poor women wahhhh" posts.